Enterprise Architecture (EA) is an enterprise blueprint with descriptions of enterprise vision, structure, and operating models. It consists of business, application, info/data, and technical architectures as sub-domains (each sub-domain can drive down further beyond EA). EA is in a complex domain of people, systems, and culture, and in a constantly changing environment. It is important to balance top-down guidance/governance with bottom-up flexibility/freedom for organic growth -> collection of federated architectures developed with discipline. Yan-I share many of your ideas and concepts about EA, and like your thoughtfulness about EA practices and enjoyed reading your blogs. “EA development is not an engineering process; it is an art of creation for enterprise operation…”- disagree. I can show you that EA development needs both engineering process and art. Let me repeat your quote of “In architecture as in all other operative arts, the end must direct the operation. The end is to build well. 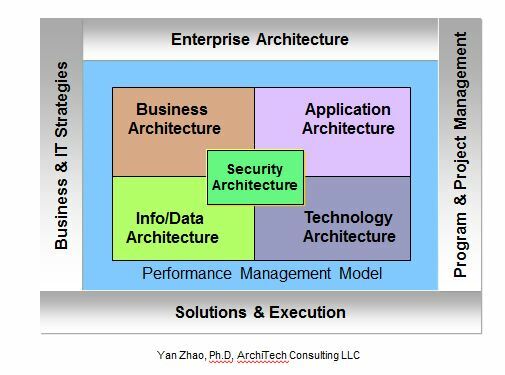 Well building has three conditions: Commodity, Firmness and Delight”, that is, the enterprise architecture must be actionable. An actionable EA is rigorous and complete with architectural integrity (completely traceable, no redundant or irrelevant components). To build such enterprise architecture, engineering disciplines are required in EA practices, at least in those of mines. I recognize that lack of a mature EA methodology causes many problems in EA practices since it is hard to apply engineering disciplines and processes without a methodology. For example, in solution architecture of EA, semantic model, data model, activity mode, process model, and system model must be tightly associated, which require engineering disciplines and processes, or you will get rubbishes. About the EA vs. collection of EA discussion, the purpose of EA practice is to make an enterprise productive and cost effective, pertaining to its mission(s). Since the enterprise architecture is driven only by missions of an enterprise with some constraints, the top-down approach is a must especially for federal agencies since all components (business and system) in the enterprise must traceable to mission objectives. Bottom-up approach may be applied only at component level, but still not recommended since reverse engineering in architecture never work well. Thanks for comments Jay. I know where you are coming from. I guess there may be some confusion between the core architecture ideas and concepts with architecture development methodology and process. I agree that as a profession, there is certain discipline to establish and to follow with methodologies and processes, which will get mature along time. The architecture products (idea, concept, and its presentation) are an art of creation, while the creation/development processes need discipline and skills that can be trained to support the talent and creativity that generate ideas and concepts. We have noticed from many practical examples that “EA production without a soul” is not effective. This applies to construction architecture discipline as well. We all agree that "architecture must be actionable", which can be more towards reality when it has a soul and core as guidance. Enterprise Architectures are more like city plans (with various scopes), which are in continuous evolution mode. Merely "top-down" is ideal but not practical in reality, especially with the increase in scope. The federated approach is more reasonable, where "top-down" guidance will be evolved with refinement from bottom-up components construction in phases. It seems to me that EA practice is still far from mature yet; still need further evolution for best practice. @Yan - I think you are perfectly right when mentioning the bottom-up component (although I do see Jay's concern with bringin in too much of it too). I am an addict to organization models that are biology inspired. These models see the organization as both a self-sustaining entity as well as an agency in an ecosystem. Survival in the ecosystem requires the external facing component of EA while preserving an organization's resilience to change will require internal insight. In my opinion (and the way I visualized the process of finding solutions) there is a constant top-down, bottom-up set of iterative waves of influences, with the final solution being in the nodes of interference of the two streams (my other professional passion - holography :) ). Yan, Bogdon- Thanks for sharing the idea, and the thoughtfulness you brought in the discussion. I may see the reason why the federal approach is raised and proposed, and is also nicely said. While I appreciate the thought, an unsettling feeling of a previous life about a “bottom-up” approach still bothers me. We may probably use the same term with different connotations. I would like to understand what the bottom-up approach really means from your perspective and to see an example of an architecture created by a bottom-up or federated approach from your or any practices, and I am open to that idea. With an EA methodology, it becomes clear to me that EA practices can be more disciplined engineering activities. 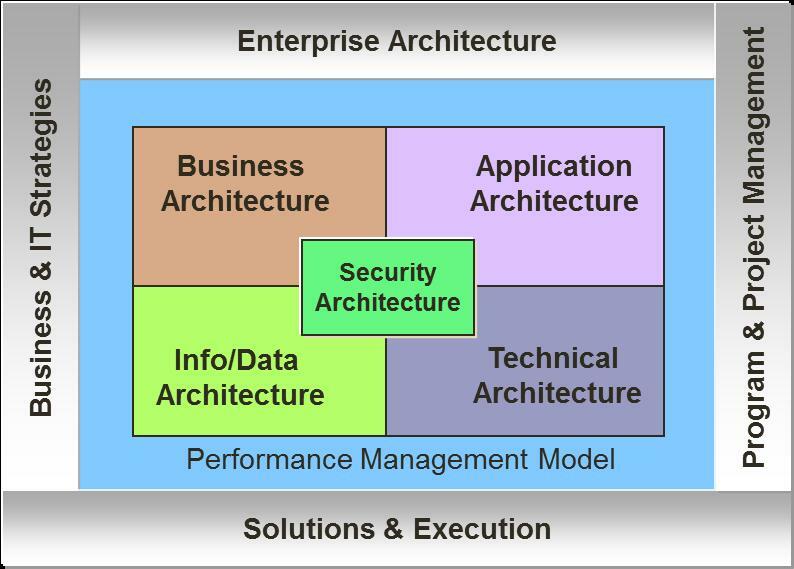 The top-down approach of designing enterprise architecture is achievable and sound. An iterative engineering process of building EA based on the methodology shall be structured and is preferable. I sensed that your “federated” or “bottom-up” term may be at process level and have the connotation of “iterative process of building EA”. If it is, I agree with you. Hi Jay, "Bottom-Up" is to take contributions from what exist inside enterprise organizations, which is quite common in creating "As-Is" EA products. The federated approach has been adopted by Federal Gov. EA and other big companies I have involved with. Also, I'd like to clarify that "Architecture" and "Engineering" are different disciplines by intrinsic.